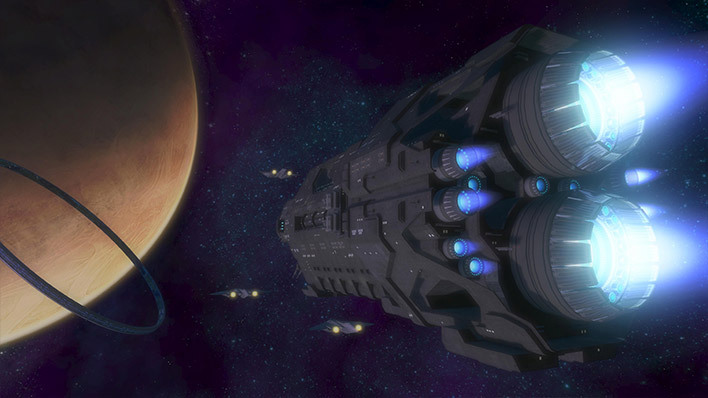 In April of 2550, Miranda Keyes assumed command of the light frigate In Amber Clad and led its crew against the Covenant on the front lines of the war. 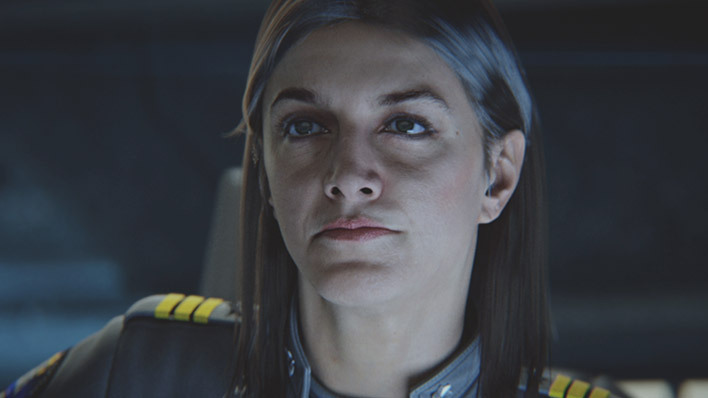 On October 20, 2552, while docked at Cairo Station to participate in an award ceremony for her late father, Captain Jacob Keyes, the Covenant arrived at Earth, forcing Commander Miranda Keyes into action. 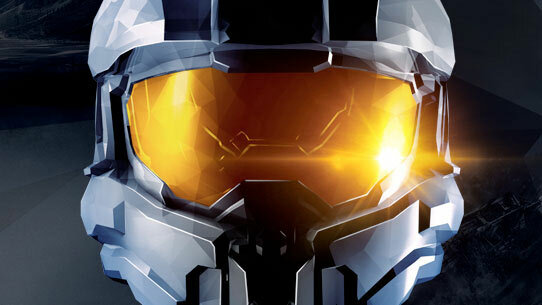 In Amber Clad deployed a number of assets, including the Master Chief, to New Mombasa, which was the Covenant’s primary focus during this initial assault. 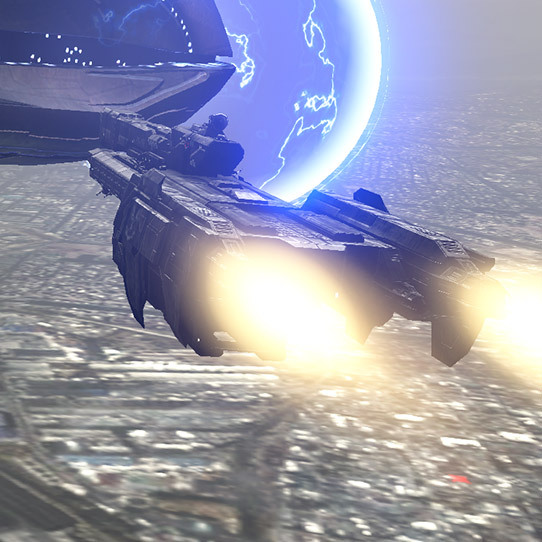 When the Covenant flagship, Solemn Penance, fled into slipspace, In Amber Clad pursued it, following it to Delta Halo. 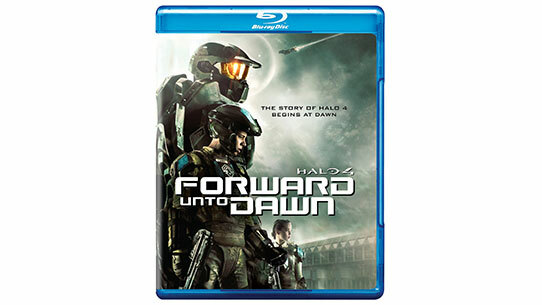 In Amber Clad facilitated local forces in hunting down the High Prophet of Regret at Delta Halo, preventing the Covenant from activating the installation. During the course of this battle, the Flood escaped from the ring’s quarantine zone. Although some human forces deployed on the ring survived this outbreak, In Amber Clad’s crew tragically fell prey to the parasite and was used by the Gravemind to transport the Flood to the nearby Covenant homeworld of High Charity. 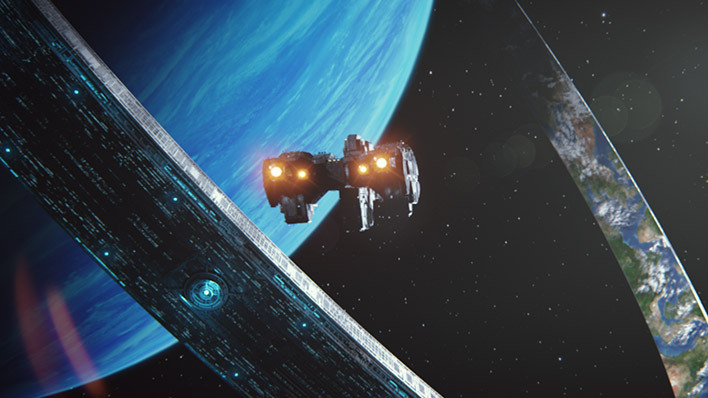 Impaled in an interior wall of the Covenant station’s superstructure, the ship at last found its end. 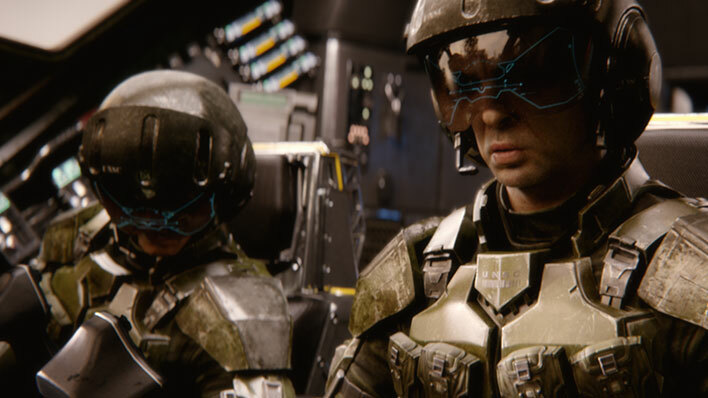 Ultimately, the frigate became part of High Charity’s debris field on the Ark installation after the Gravemind took the Covenant city to the heart of the Halo Array’s control center.